You don't get here by making excuses. 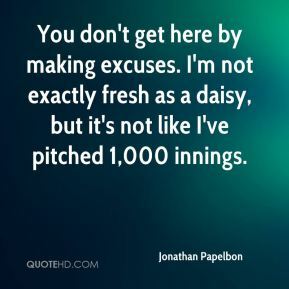 I'm not exactly fresh as a daisy, but it's not like I've pitched 1,000 innings. 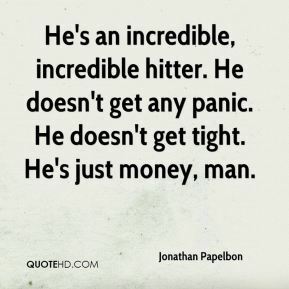 He's an incredible, incredible hitter. He doesn't get any panic. He doesn't get tight. He's just money, man. That's a veteran move. I might need to learn that. To get that first one is exciting and surreal, and all these different emotions that I'm feeling right now. It's just great to be on a team like this, where you know that no game is ever out of reach. Hey, I let my team down tonight. I'll be back out there and I'll pick us up another night. 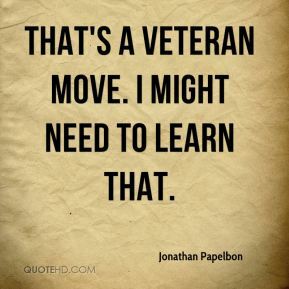 It's a learning experience right now, and hopefully, I can make that learning curve short. He's my idol. Growing up, I watched him pitch. 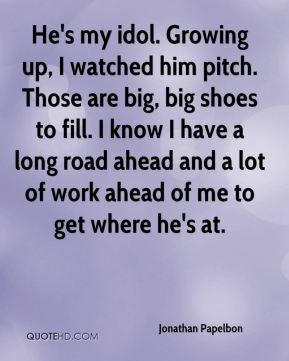 Those are big, big shoes to fill. I know I have a long road ahead and a lot of work ahead of me to get where he's at. 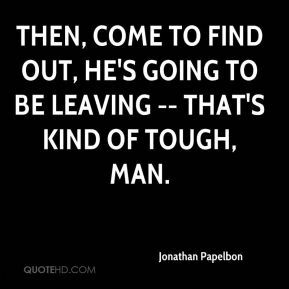 Then, come to find out, he's going to be leaving -- that's kind of tough, man. It was almost like he was part of the family. He always gave me confidence. He always said, 'Keep your head up high.' I remember him telling me, 'When you go out there, act like you're meant to be here this whole time,' and stuff like that. He always gave me that confidence. Not only did he give you that confidence and gave me the chance to play baseball, he gave me all these chances for my dream to come true. Not only did he do that, but I think we became friends. That's also means a lot to me as well. It's where they need me. 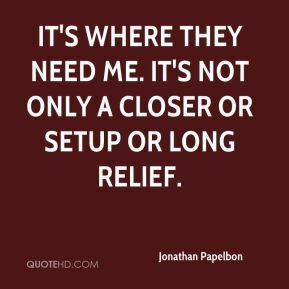 It's not only a closer or setup or long relief. They've been awesome. I wouldn't be staying up here if not for them. Jason gives me a boost of confidence. He's helped me a lot with his professionalism. It's unbelievable how good I came out of it. 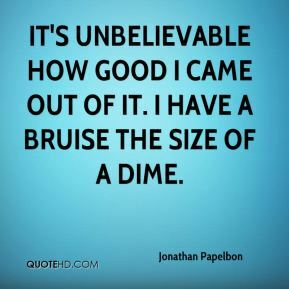 I have a bruise the size of a dime. The whole dugout started laughing. It's a freak show, he's a freak. 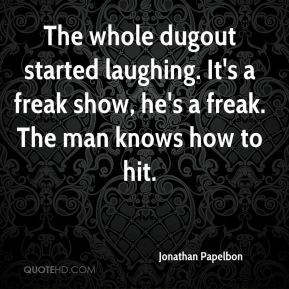 The man knows how to hit. I was focused on results. 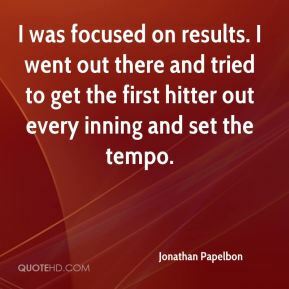 I went out there and tried to get the first hitter out every inning and set the tempo. 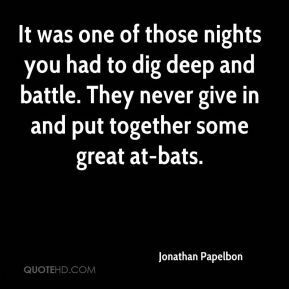 It was one of those nights you had to dig deep and battle. They never give in and put together some great at-bats. 'Let the bodies hit the floor,' something like that. I think the fans were more worried about my entrance song than I was. They can send in suggestions if they have some. 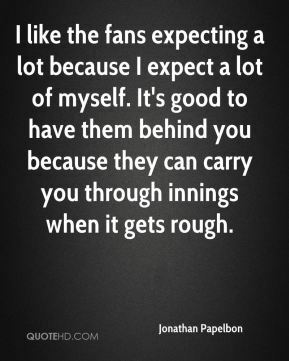 I like the fans expecting a lot because I expect a lot of myself. It's good to have them behind you because they can carry you through innings when it gets rough. I don't know. We'll see. 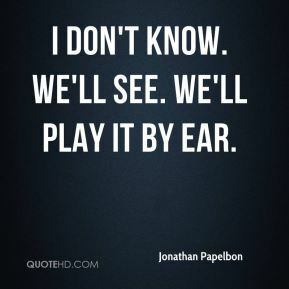 We'll play it by ear. I'm all good. I'm married now, man. 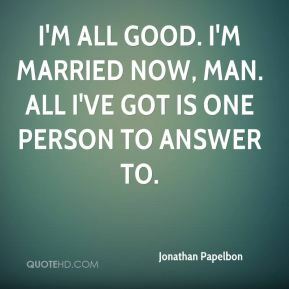 All I've got is one person to answer to.